If you’re looking for the latest technology and fine Swiss engineering, Rado sets the gold standard. Renowned for revolutionising watch technologies, Rado introduced high-tech ceramic and sapphire crystal watch faces, and maintains a reputation for impeccable precision. In the luxury price bracket, you can’t do any better than Rado. 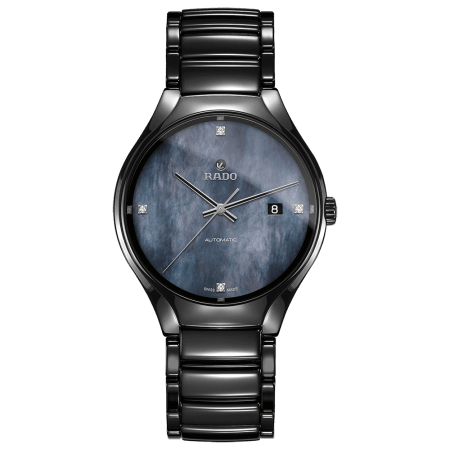 Rado took the classic gentleman’s watch – the sort that could be lying on your grandfather’s bedside table – and gave it a cool, modern twist. With a timeless steel (or metallised ceramic) link bracelet and pure sapphire crystal, it has a nod to nostalgia. But the vintage look stops there. Beneath the crystal, a transparent dial reveals the movement in all its glory. An exhibition case back allows you to examine the tiny cogs in detail. The Open Heart is a delight for anyone with a passion for engineering or industrial style. It’s eye-catching and affords fascination for the wearer, who has the luxury of seeing time faithfully recorded hour by hour. 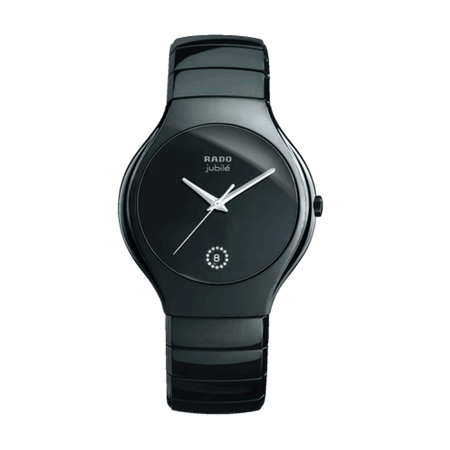 You may choose from a wide range of Rado Centrix designs, featuring either an Automatic or Quartz movement. For men or women, the Centrix Automatic Open Heart is a fantastic choice. 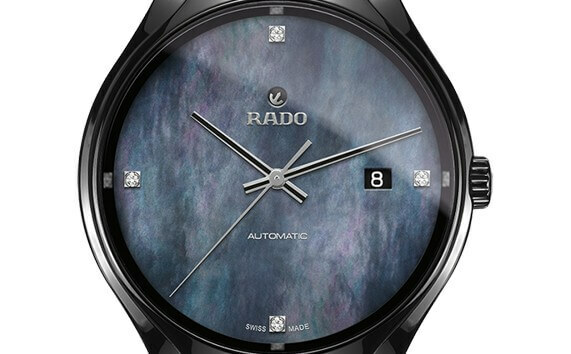 It boasts Rado’s high-tech ceramic in burnished bronze, or a classic steel case and bracelet. The Automatic movement needs virtually no maintenance other than regular use. For women, the Rado Centrix Quartz is a wonderful indulgence: diamonds encircle the dial for a glamorous touch of sparkle. To discover more Rado watches, pay us a visit. The PureJewels showroom is located in London’s Green Street, and we carry Rado watches in stock. Explore the Centrix collection as well as Rado Hyperchrome, Integral, Coupole, Diamaster and True Thinline. If you’re searching for a particular watch, then please use Live Chat or good old telephone to enquire (we don’t use a call centre – you’ll reach someone in the store). We have been a Rado partner for decades, and may be able to procure the watch of your dreams!